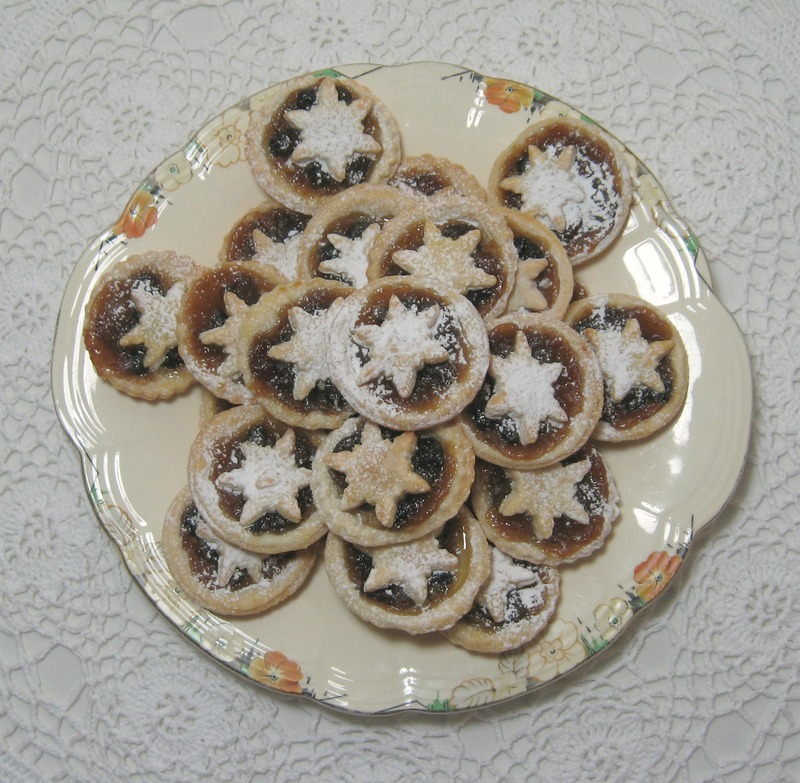 One of my favourite foods to eat in the winter months is mincemeat, the combination of mixed fruit in spices and sugar always makes me happy regardless of the weather outside…..I know most people only eat it at Christmas in little pastry pies but I would (and have done) happily eat this all year round. The version I make is vegetarian (so no actual minced meat) and it keeps really well….I’ve had jars in my cupboard, from when I made massive batches,that kept fine for a couple of years but I think you are supposed to use them up within 12 months. Obviously once opened then keep them in the fridge and use within 4 weeks. In a large pan, (I use a preserving pan) tip in the sugar and pour in the cider. On a gentle heat allow the sugar to slowly dissolve in the cider, stir a little. Chop the apples into 1 cm sized cubes and add then to the sugar and cider syrup. Chop the rest of the fruit, (not fussy fine but a few chops with a big knife kind of thing) and add to the pan along with the spices, lemon peel and juice, and allow to simmer for 30 -45 minutes. You want everything to look mushy and pulpy. Remove from the heat and allow to cool down a little before adding the brandy or rum, give it a few good stirs and spoon it out into some sterilised jam jars. Seal with a screw top metal lid not a waxed disc like with jam. This makes about 2 kilos of mincemeat. *I often make my own spice mix, and use variations of nutmeg, a few blades of mace, dry ginger, a star anise flower, clove, a few black peppercorns…….if I’m making gingerbread/spiced biscuits then I make up enough spice mix to use in various things over the Winter festivities. I’ve also made bread and butter pudding with the mincemeat spread over the buttery sliced bread, cooked in a milky egg custard this is a lovely smelling pudding, perfect for rainy and cold winter evenings. I’ve even seen recipes for home made ice-cream using a few spoonfuls of sweet sticky mincemeat….it isn’t something I’ve tried as we don’t have an ice-cream make and the recipes I’ve read all seem to require one……..
I’d love to know if you have any interesting ways you use mincemeat.